WILKINSON, Michael L, age 52 of Goodlettsville passed away, May 19, 2013. Mike was an incredibly big hearted man, whose life centered around his family, he is loved by many and will be greatly missed. He was an avid UT Vols & Nascar fan. He loved motorcycles and spending time on the lake. Mike is preceded in death by his father, Joe L. Wilkinson. He is survived by his wife, Debbie Wilkinson; daughter, Jessica (Kevin) Jackson; son, Jeremy Wilkinson; grandchildren, Hunter & Garrett Jackson; mother, Shirley Conley; sister, Debra (Jim) Fresso; brothers, Willie Wayne Wilkinson, Mack Barkett, Michael Ray Wilkinson; nephew, Jim Fresso. Family will receive friends Friday May 24, 2013 3-8pm at Cole & Garrett Goodlettsville. 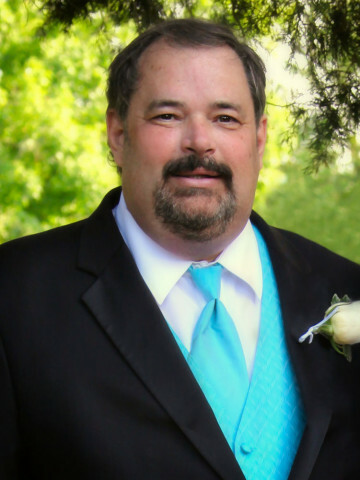 A Celebration of Mike's Life will be held at 2pm Saturday May 25, with visitation 10am-2pm. Bro. Terrell Somerville, officiating. In lieu of flowers memorial contributions may be made to St. Judes Children's Hospital or American Cancer Society. COLE & GARRETT FUNERAL HOME, (615)859-5231. I went to school with Mike from elementary through high school He was always so nice to me. So sorry to hear of his passing. My sympathies are with his family. Rest in peace my dear friend.Praying for the Wilkinson Family. Mike will be missed and my prayers go out to the family that the Lord will provide comfort during this time of loss. I look forward to the glorious day that I will see Mike again in eternal glory with the Father, our Lord and Savior, Jesus Christ. –Bob Carnahan, EWA Beach Hawaii, May 21st 2013. Michael was a great friend who would do anything for you any time of the day. We would talk for hours about the Vol’s and my team Penn State. I swear he could go on a rant for 10 minutes and not take a single breath. Had some great times on the lake! Mike was a wonderful man and friend who will forever hold a special place in my heart… Praying for the family during this time of loss. Mike was a true friend who was always there when I needed him. If not for Mike, I honestly don’t believe I would have survived a very bad time in my life. HIS FAMILY WAS HIS WORLD! My heart breaks cor his family. He is with his father again, and all his suffering has ended. I am so sorry for your loss. You are in my thought and prayers. Debbie – you are in my prayers. Your family and friends will get you through this, but please let me know if I can do anything to help.